A lot of sellers are trying to figure out what eBay's announcement last week about payment changes means for them. From a corporate standpoint, eBay and PayPal split in July 2015. But from a user's point of view, not much has changed thanks to a 5-year operating agreement between the two companies. If you go to checkout on eBay, you generally see three options: pay with PayPal, PayPal credit, or Credit or debit card. But PayPal handles all aspects - the "branded" (PayPal), and the "unbranded" (credit or debit card). In all cases, the buyer paid into the individual seller's PayPal account (note in some cases, the merchant offers its own credit card processing). 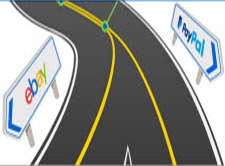 Last week it was revealed that eBay signed an agreement with payments processing firm Adyen to become its major payments partner, and signed an agreement with PayPal that extends its PayPal branded service at least through July of 2023. All indications are that buyers will continue to see a similar checkout experience by the time the 2015 Operating Agreement between eBay and PayPal expires, but sellers will see some big changes. Adyen will handle the credit and debit card processing on eBay's behalf (which would likely then be in a position to add additional options, such as bank transfers). And rather than a buyer paying into a seller's PayPal account, they'll pay into eBay's PayPal account. How do we know this for sure, given the dearth of information in eBay's announcement to sellers last week? eBay CFO was more forthright with Wall Street analysts in November when he explained what it would mean for eBay to become the merchant of record: "eBay would start to be the seller and in doing so would aggregate that volume and be able to get lower PayPal or other payment operator rates." PayPal CEO Dan Schulman told Wall Street analysts last week why he chose not to extend the existing Operating Agreement (OA) with eBay, but instead, enter into an additional agreement that extends into 2023: PayPal will be able to officially court other marketplaces beginning in 2020.
eBay had created a list of marketplaces with whom it did not wish PayPal to engage with during the 5-year operating agreement. Schulman called them fast-growing, next-gen marketplaces, and no doubt Amazon and Facebook are on the list (PayPal is allowed to work with Facebook Messenger). One, we renewed the "branded" relationship with eBay because it is far and away the most profitable element of the relationship. And two, it's the most important to our mutual customers. And three, it also happens to be the largest part of the business by far and away today. The "private-branded" processing is highly undifferentiated, it's commoditized and as a result it yields little to no profit. And as we go through this, we are going to be able to shed substantial cost because we aren't going to be doing that "unbranded" piece of it. We'll still maintain the "branded," we'll still maintain the most profitable part of this business and what is today the largest part, but there is one other really important element, the OA, the operating agreement, also restricts PayPal from partnering with the largest and fastest growing marketplaces in the world as an MOR (Merchant of Record). So, if we had simply done an extension of the full operating agreement, that would have kept that prohibition in place and prevented us from becoming a fully neutral third-party platform. And the opportunity to partner with the world's largest marketplaces is immense. Note that when Schulman said PayPal would be able to "shed substantial cost because we aren't going to be doing that "unbranded" piece of it," that means eBay will have to figure out how to offer customer service directly or through a third party. That's another change that users will have to deal with in the future - and given the importance of payments, getting good customer service is imperative. You know eBay like we all do - ANY opportunity to clamp down on the "horrible rotten nasty sellers - eBay takes". As well, if theres an opportunity to use the stick to correct sellers behaviors (returns etc), eBay will do that too. OK so why does anyone believe that regular merchant processing on "unbranded" (standard V/M/A cards) is SO MUCH more then a Paypal payment ? If you are doing so many billions of transactions AND you have such great fraud protection (Paypals claim to fame).. then the rates should be really low. The answer of course is that Paypals rates to eBay are HIGHER (probably) then to other people it process, simply due to the tremendous fraud that exists. Paypal has told me numerous times how eBay is a drag on it. Most of their chargebacks (so they agents claimed) are DIRECTLY from eBay and it costs their factors MILLIONS. Paypal has also told me (and Ive said this 100000x before) that Paypal is merely a pyramid scheme. By doing simple searches and data examination, they take calculated risks on buyer behavior - and the issues mostly stem from eBay. Truth is, his answer makes no sense at all - what will he save %1-%1.5 ??? uh huh ... we are JUST a venue! I have no doubt that the amount of fraud on Ebay has a significant impact on Paypal's CS budget. Somebody has to deal with it. Lord knows Ebay's CS Dept would be lost. When you have both fraudulent buyers and rogue sellers, I can only imagine the man hours that go into CC charge backs. End result is who eats it ? I never considered that they had a provision in their PP contract to prohibit growth and essentially competition. Thought that type of activity was Anti-Trust. @Odona - Amazon does not pay quarterly. For many it is every two weeks, or every week, and for some of us, every 24 hours if we like. Or is your mention of Amazon/Audible and actual site that I know nothing about. I've been selling on Amazon for 16 years and have never had to go quarterly (3 months) for payments. Newbies are the ones that have to what awhile or sellers that have been suspended, they may have to wait 3 months or more for any remaining funds to be deposited to them, but that is not the norm. Someone ( on another forum subject) had used Ayden thru Uber and they were similar to Paypal options but this is to be somehow controlled by Ebay so it is hard to say what the disbursements will be like. Etsy uses Adyen for a back-end payment system - it runs smoothly and our funds are transferred once a week, or sooner if we desire (we can have them transferred immediately if we wish). I just let it collect up and transfer to my bank account once per week, like a paycheck. Given ebafia's long, inglorious history of mucking up everything they touch, I predict this will be their biggest, most spectacular FUBARed SNAFU catastrophe ever. Perhaps if we had a US Department of Justice that had some interest in protecting small businesses instead of trying to suppress voting, gay, and women's rights, these lawless corporations wouldn't be permitted to violate anti trust laws. Wasn't Adyen the Etsy processer when there was all the double charging and other snafus with checkout, that no one seemed quite capable of discussing in a forthright manner? Adyen also, to date does not have any type of customer service phone number for North America, which is odd, considering that Etsy is Brooklyn based. Etsy lacks PROPER PHONE SUPPORT ALSO. Companies will continue to crank out slop work, as long as THE CUSTOMER PUTS UP WITH IT. Wenig says "eBay would start to be the seller...."
Oh goodie! If that is the case I hope that eBay pays the taxes too. Watching them implement this and try to execute it should be interesting. Adyen should prepare themselves to get thrown under the bus if anything goes wrong on eBay's end. The CSR support from either company is a huge concern for me. @pace306 - I have had good experience with EB customer service. I don't understand what people are complaining about. If you look at some other sites -- you cannot call into customer service, you can only email and WAIT. The CS experience I had (ex. Ebay and AMZ) has been horrendous on other sites. So considering the vast amount of users on EB and AMZ I'm surprised they don't mess up more than they do. Chicago48 - if you had great experiences with eBay CS - then I need to know what you are doing :) ! You are "obviously" the exception to the rule - Ive been here since 1998 and Ive never experienced it. To get any kind of good service, Ive had to sweet talk the girls (in broken engrish lol) and that only PARTIALLY worked. Ive done MUCH better with Paypal - I have it down to a science with them ! Lets see how it goes - but looking at Adyens site .... theres no mention of any kind of seller protection ... and thats scary. Nothing we can do - eBay has name recognition, albeit diminishing. They may not buy, but, they 'shop' (look around). Etsy has NOT been able to surpass eBay... so far. "Cash" venues like FB, CL, etc., are full of flakes who don't follow thru. Plus... a BAD (for 90% of us) economy. Plus... Mr. Trump 'rolled back regulation' on banks & financial institutions. We are all voiceless potential victims... nothing more. Waiting for that bread crumb, that scrap. That small sale that keeps you afloat... one more day. That sale that doesn't result in a 'remorse' or false SNAD. Nat'l Debt skyrocketing this last year. When the Recession hits, Ayden will be the least of your concerns. I've been in the market for rifle parts lately. About 50% of what I'm buying has been bought on eBay. The other 50% has been bought at stand alone websites. I have a Amazon prime account yet I have bought NOTHING on Amazon. eBay is still king when it comes to getting the best price. My next purchase is going to be a Bushnell TRS-25 Red Dot Scope, you can't get it any cheaper then on eBay! We have also over the 19 years and 5 stores on ebay have had great service from customer service. We also have 5 anchor stores so i'm betting that if you pay the piper you get better service. Have never had any cs person who didn't speak good english no foreigners at all. Wait time on 99 percent of the calls is less than 5 minutes. Betting its because of the anchor stores. And for anyone who questions why we need 5. Well how about almost 44000 listings to deal with. If you can figure it out Anchor stores only save us money in the long run. Im sure it is because of the anchor stores - isnt that part of the "come on" when they ask you to take one? aka premium support? Here are the contact numbers for Ayden. They have customer support out of San Francisco, CA. However it is not a toll free number. Which I find odd. I concur that it's probably the Anchor Store. I've got one Premium Store, plus several non-store accounts. Seems like most often the CS help for the non-store accounts is less horrible (notice I didn't say anything like good or better...) that I get for the Store account. Of course, maybe I should look at it like a good cardio workout. My heart-rate is usually quite elevated by the time I'm literally screaming at them the same phrase I've repeated a dozen or more times in the last 1-1/2 minutes, and they continue to stick to their script, totally ignoring the words I've spoken. Can't see as how eBay with Adyen is going to be any better. Or should I say, less horrible? I had an Anchor store for years. I only changed a couple years ago when they skyrocketed the fees for Anchor store subscriptions. The level of customer service while I had the Anchor store and now is roughly the same. Sometimes I get a great CSR and sometimes I don't. It has always been mixed for me. Now the newer thing with Anchor Stores is they are suppose to have dedicated CSRs for Anchor Store owners only. This was suppose to happen when they raised the rates so high on the Anchor stores, however it took Ebay awhile to get it in place, even after they raised the prices. Anchor Store owners should now be getting CSRs with a better understanding of the rules. More or less what I've been seeing. I had a few eBay bidders flake on $20 items in December. How bad does your situation have to be to flake on a $20 item? Seems like there's a massive hole between $10 and $100 in toys these days. Very little left from either end in my inventory. Where is the "middle class" buyer? Also, surprised to see 44K listings from a "small" seller. Many national chains don't have that many items on their own websites. No wonder it sounds so out of touch. It's like taking bankruptcy advice from Donald Trump. Sure, when you get to walk away from it still a millionaire, it's no big deal. But real bankruptcy, where you lose everything and can't get a job, a loan, or a roof over your head because your credit's wrecked, that's a different story.